A consensus All American, Lee was named to the Football Writers of America, Football News, Walter Camp Football Foundation, and Associated Press First Teams in 1997. With Lee at free safety, UW’s defense ranked number six in the country in pass defense and set a school record with 24 interceptions in 1997. Lee owns the school record for career interceptions with 17, and the single-season record of 8 (set twice, in 1996 and 1997). He also shares the single-game record of three interceptions in a game (against Montana in 1997 and vs. SMU in 1996). He led NCAA Division I in 1997 averaging 0.73 interceptions per game. Lee returned two interceptions for touchdowns during his career. An excellent student, Lee was also named First Team Academic All-American in 1997 and Academic All-WAC in 1995, 1996, and 1997. As a senior in 1997, he earned All-Conference honors. 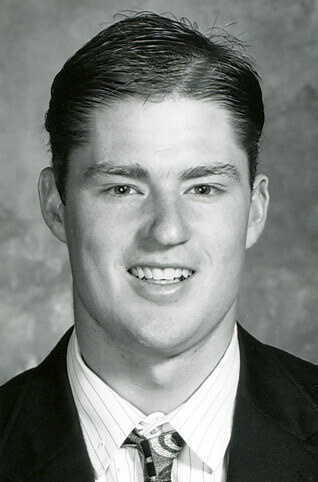 A native of Denver, Colo., he won the Admiral Land Award as UW’s top student-athlete in 1998.